I am shamelessly asking for more endorsements. 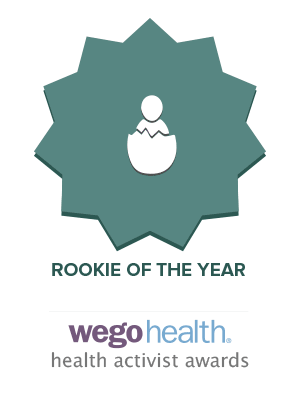 I was nominated from “Rookie of the Year” award through the WEGO Health Activist Awards. I am only at 28 endorsements. It takes just two seconds. Step 2: Click on the purple box labeled ” Endorse me.” under my photo. Step 3: Fill out the box. That is all. I am forever grateful to those who have endorsed me. Please help me help others!